Triggers can be used to force a rebuild of a specific ref (branch or tag) with an API call. Note: Valid refs are only the branches and tags. If you pass a commit SHA as a ref, it will not trigger a build. The required parameters are the trigger's token and the Git ref on which the trigger will be performed. Valid refs are the branch and the tag. 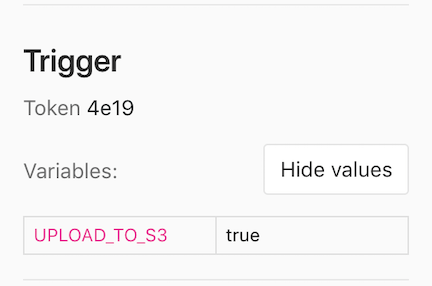 The :id of a project can be found by querying the API or by visiting the Triggers page which provides self-explanatory examples. ref should be passed as part of url in order to take precedence over ref from webhook body that designates the branchref that fired the trigger in the source repository. ref should be url encoded if contains slashes. - "curl --request POST --form token=TOKEN --form ref=master https://gitlab.example.com/api/v3/projects/9/trigger/builds"